Theodore Melfi’s “St. 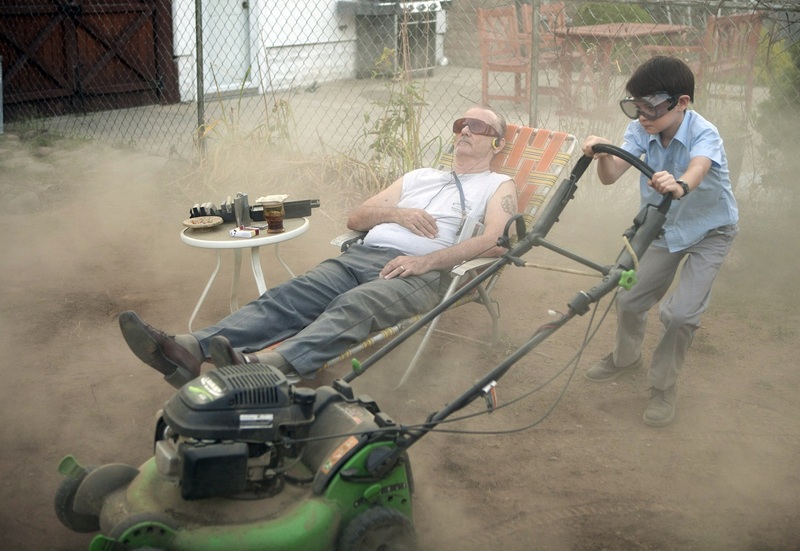 Vincent” marks Bill Murray’s first starring role in a comedy since 2004’s “The Life Aquatic with Steve Zissou”—that is, if you don’t count 2006’s “Garfield: A Tale of Two Kitties,” and I suspect Murray wouldn’t either (see “Zombieland”). 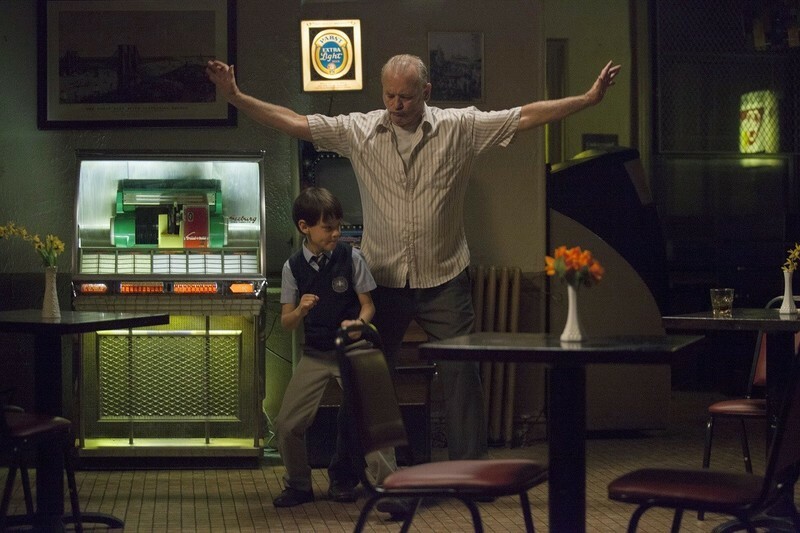 Murray plays Vincent, a sullen, foul-mouthed war vet who forges an unlikely bond with his 12-year-old neighbor, Oliver (Jaeden Lieberher)—becoming his guardian, mentor and friend—though saint he is assuredly not. This comes as a surprise to Oliver’s mom, Maggie (Melissa McCarthy), and Vincent’s longtime friend-with-benefits, a pregnant Russian prostitute named Daka (played by Naomi Watts in her latest in a series of truly bizarre roles). Melfi spoke with RogerEbert.com about the surprising true-life inspirations for his characters, the joys of working with Murray, and what this film taught him about the art of comedy. Was Bill Murray in your mind while creating the role of Vincent? He’s the only guy on the face of the earth that can be absolutely dislikable all the time and never unlikable at the exact same moment. He’s always one step forward, one step back. We were walking down the hallway in the convalescence center where we shot the scene with Vincent’s wife, and this old guy walks by. He must’ve been 85, and had a walker. He also had a plaid shirt on. Bill goes up to him and says, “That is a great shirt,” and the old guy lights up like a Christmas tree, and goes, “Thank you.” Then Bill says, “But I wouldn’t wear it with those pants.” That’s Bill Murray—that’s his comedy. What’s he like as an actor? He’s fantastic to work with. He’s a consummate professional and consummate actor. He’s there to do a great job and wants to explore and keep it fresh all the time. He pushes you to be fresh and free and spontaneous, and you have to be prepared in order to be ready for what he can do. At one point, we assigned a B camera as our “Bill camera” so that in case he did anything [unexpected], we would be able to catch it. Was the scene that plays over the end credits “Bill camera” footage? It’s a scripted moment, but what Bill does is not scripted. I’ve gotta say, I don’t know if the movie’s any good or not anymore because I’ve seen it 500 times, but that’s the best end credits I’ve seen in the history of end credits, as far as I’m concerned. It’s proving the point that we could watch Bill Murray read the phone book and be perfectly satisfied. The only direction Bill was given was to come out in the yard and sing “Shelter From the Storm.” We gave him a couple of props, such as a hose and some cigarettes. The only thing I did was hide the cigarettes under a dead plant. You’re waiting for something to happen [in the scene] and you’re happy that nothing does. You’ve spoken about how the film was partly inspired by your own experience of adopting your 11-year-old niece, thus forming an unconventional family much like the one in the movie. We all lived together—my wife of 18 years, my daughter, my niece, my mother—who has Alzheimer’s—and my wife’s father, who is an alcoholic. I’d look at them and go, “What is family anymore?” Family is just the people you care about. We can bond with people that we have nothing in common with, even if it’s just for a moment. The concept of “family” has changed so much. It’s not just “mom and dad” anymore. It’s “mom and mom” and “dad and dad,” and it’s kind of beautiful. I was struck by how you don’t demonize your characters, even Maggie’s cheating ex-husband. People live in the middle. I think everyone does. Good is on one side, bad is on the other side, and we live in the middle. What’s bad about Oliver’s father? He fell out of love with his wife and he cheated on her. Is that bad? Yeah, cheating on her is bad, but falling out of love isn’t bad. It happens. Maggie is not a good mom and not a bad mom. She’s a mom. There’s heaven and hell in everyone. Chris O’Dowd’s Catholic school teacher is particularly refreshing in how he voices tolerance for all faiths while remaining strong in his own. This year’s ever-growing slate of evangelistic films are conveying the opposite message. We’re living in the polars right now. Jesus is on one side and atheism is on the other, but life is in the middle. Religion offers good and it offers bad. It does some good things and it’s done a lot of bad things over time. Mainstream Hollywood basically shuns religion for fear of being branded religious, and religious films can’t find the middle. This is, by no means, a religious film and I’m not a religious person at all. It’s just a story that I feel is real. When you’re working with such skilled improvisers, was there always a temptation to go off-script? Where in the world did you come up with the character of Daka? It’s a dangerous character because it could seem completely unrealistic. When we started scouting, we spent a lot of time at Sheepshead Bay, and it has a big Russian population, especially in Coney Island. We went to a few Russian strip clubs and we met twenty Dakas that were literally just like the one in the film. Naomi Watts would send me clips off YouTube that she was using to research her character, and there was one in particular that showed a blonde girl with pink-dyed hair saying, [in Russian accent] “I like to go out with my friends and have good time. I’m very funny person.” That’s Daka. Her words don’t match what you see. Your use of songs to punctuate various scenes is quite effective, especially during Vincent and Oliver’s dance around the jukebox. We used Bronze Radio Return’s “Further On” for that scene. Finding music is so much fun. When you’re cutting the movie, there are times when you go, “This feels kind of flat.” Then you put a piece of music in there and you go, “Oh that’s what it needs.” Music and sound is fifty percent of the whole thing. The public doesn’t fully understand that because they don’t know the technical aspects of the process. Once the sound comes into it, it makes the whole thing feel real and full and rich. It can take the audience to another place that a picture can’t on its own. How did Bill and Jaeden go about building their chemistry? It gradually happened as they were working. Bill didn’t want to meet him until the day he started shooting, so they did not meet until the first scene they had together. Bill said, “I don’t want to know him until I really know him, and I want to discover him as we go.” They didn’t hang out a lot between takes, but they became really close friends to the point where they both went to do a Cameron Crowe movie in Hawaii afterward and they were scuba-diving and body-surfing together. They became really, really close and it was out of mutual respect for their acting ability. Bill didn’t like Jaeden just because he was a kid. Jaeden earned his respect as an actor and that turned Bill to the bright side. What did the experience of making this film teach you about comedy? Comedy can never be manufactured. It either happens or it doesn’t. The same is true of drama. It has to be believable. People need to have a moment that is recognizable. If they don’t have that moment, you can’t create that movie. You can fake it with camera moves, but at the end of the day, you are faking it. It’s seen but not felt. Everyone connected and really listened to each other on this set. I just learned to allow comedy and drama to live and breathe on their own and to never force either of them.